You’ve found mold is in your home! Once the initial shock and panic wear off, you will start to think about how to address this problem. Address the mold issue in your home or business or you may end up with another set of problems: compromised physical health, unsightly mold stains and possibly even structural damage to your living space. 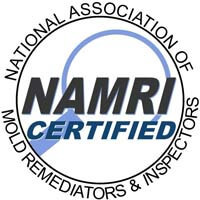 Reach out to our mold assessment team in Perrysburg, Ohio as soon as you suspect mold is in your home or business. 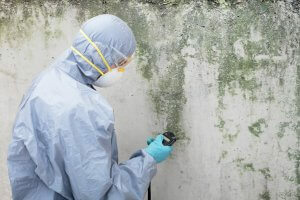 If you have even the slightest suspicion your home has mold, an assessment should be performed right away. Let our team assess your home to determine if the source of moisture is actually the cause of the problem. Think of this assessment as similar to your annual physical at the doctor’s office. A thorough mold assessment will certainly take longer than a physical at the doctor’s office yet this temporary inconvenience is well worth it. The assessment process starts by gathering of information and an analysis of the signs that caused you to contact us. Our team will inspect for visible mold as well as mold odors. Such odors are a sign of airborne mold spores. We will also look for moisture sources whether it is in the form of leaks or vapor/condensation. 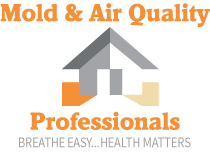 Our Perrysburg, Ohio mold experts even go as far as taking scientific information like relative humidity and ambient temperatures to gauge if your home really does have the moisture level required to support the growth of mold. We will use moisture meters along with other devices during the assessment to gauge if active moisture is present and where its source is. This is the in-depth assessment your home needs as it will reveal findings that cannot be obtained with an untrained eye. Once this information is in-hand, we will conduct additional analyses through swab samples and air testing. If the lab analysis provides additional helpful information that, we will suggest the recommendation for your review. Such an assessment serves a couple different purposes: it provides important facts about your unique mold situation, answers your questions, and ultimately provides you with a report you can reference in the coming months and years. If you have spotted visible mold, there is no need to conduct an assessment or testing. In the vast majority of cases, conducting mold testing when you can see the mold with your own eyes is a waste of money and time. There are certainly exceptions to this statement yet most instances of visible mold do not require any sort of testing. So do not rush out to the store to buy a mold testing kit just because you spotted what you believe to be mold. As soon as you see mold in your home, you will be tempted to grab a paper towel, wipe it over the mold and toss it in the trash can. This approach to mold removal will only make it worse. For one, contact with mold spores will compromise your health. Furthermore, a DIY cleaning attempt will likely worsen the situation by moving mold throughout the room. The better course of action is to let our Perrysburg, Ohio mold removal team eliminate the mold in a comprehensive manner. Our professional mold removal experts use air sampling and air quality testing along with surface sampling to determine if mold is indeed present, what type of mold is in your living space, its severity and location. We will remove the mold from your Perrysburg, Ohio home or business in a completely safe manner that protects you and your loved ones as well as our team. Our mold experts know exactly how to prevent the spread and cross-contamination of mold from contaminated spaces into areas mold has not yet breached. We will identify the source of the mold, remove it, eliminate all moisture problems that could possibly contribute to the mold outbreak and make your home livable once again. You and your loved ones should not have to live with mold one day longer. 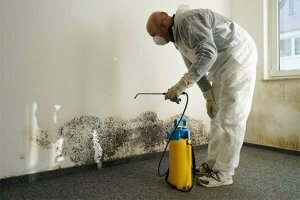 Our mold remediation team in Perrysburg, Ohio is here to eliminate your mold problem and preserve your health. Contact us today to schedule a no-cost quote. 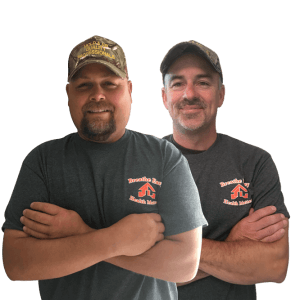 NW Ohio and SE Michigan resident can reach us at (734) 755-3457. Residents of NW, central and lower Michigan can contact us by dialing (231) 679-2622.